No matter your budget or schedule, you can enjoy the Festival. See below for an explanation and pricing for the ticket packages. The International Horror and Sci-Fi Film Festival is part of the Phoenix Film Festival. 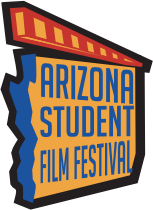 You will be purchasing tickets and passes to the Phoenix Film Festival. We have options to fit every budget, ranging from our Platinum pass which gives you access to all of our films PLUS our awesome Opening Night Premiere Event to single-screening tickets. Scroll down to see a complete list of ticket/pass descriptions. Remember. Even if you have a pass, you must have a physical ticket for each film. Just show your pass at the Ticket Center and let our staff know which films you'd like to see! Golden Tickets and they are available as supplies last. Prices do not include service fees and are subject to change. We know. With so many pass and ticket options, it can get a bit confusing. But never fear. We've got your answers right here. Are you a chart person? If so, check this out. This pass includes the Opening Night Premiere as well as the ultimate festival pass. Also includes entry to all events, parties, filmmaker meet and greets front-of-line access to all theatres (priority seating). All Platinum Pass holders also receive an Official Phoenix Film Festival T-Shirt. As a Platinum Pass holder you will be able to obtain tickets to any film you want to see. The ultimate festival pass includes all events except the Opening Night Premiere. It also gets you front-of-line access to all theatres (priority seating). All VIP Pass holders also receive an Official Phoenix Film Festival T-Shirt. As a VIP Pass holder you will be able to obtain tickets to any film you want to see excluding the Opening Night. Entry to all events excluding the Opening Night Premiere. Festival Pass holders have the opportunity to get tickets to any films of their choice throughout the Festival excluding Opening Night. A souped up version of our traditional Flex Pass, the Super Flex Pass includes ten (10) Individual Screening tickets to any ten different films (excluding Opening Night). Ten single tickets to ten different films for one price. Pass is only valid for use by one person. A Flex Pass includes four Individual Screening tickets to any four (4) films (excluding Opening Night). Just pick four films, it's just that easy. Pass is only valid for use by one person. This option is perfect for audience members interested in one specific film.